I know it is kind late asking this question. Emotions took over and I purchased a new Atlas Turntable. Without thinking about the transition between Atlas and Lionel Fastrack. 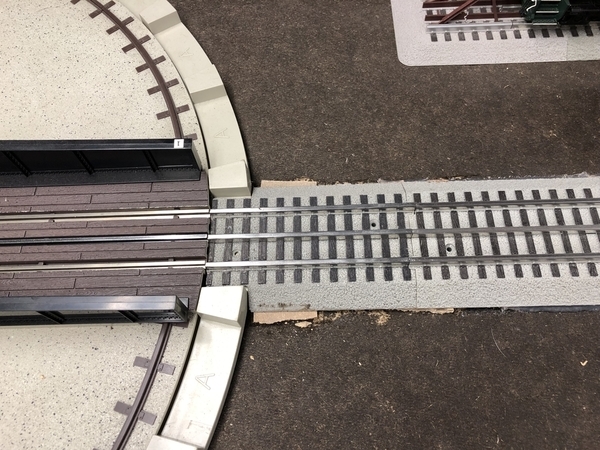 Has anyone in the forum successfully attached fastrack to atlas turntable or should I use atlas track on this part of my layout? You wouldn't necessarily need Atlas track leading up to the turntable. GarGraves would work too. You could probably even make the Fastrack work directly, but it will take some serious modification, cutting away the roadbed on the end, pulling the pins, and possibly lowering the track. It might work better to raise the turntable to match the Fastrack. Look at the FT connection about 2/3 of the way down in this recent thread. I did on mine. Not hard to do that. That's exactly how I did mine. 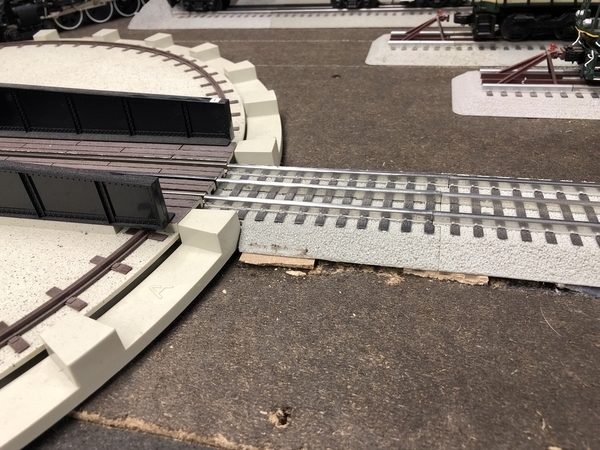 I use the method for the Lionel coal ramp and bascule bridge as well. For the Glancy Trains Modular, I took the Fastrack right up to the turntable. Using cork roadbed under the Fastrack gave me the correct height. 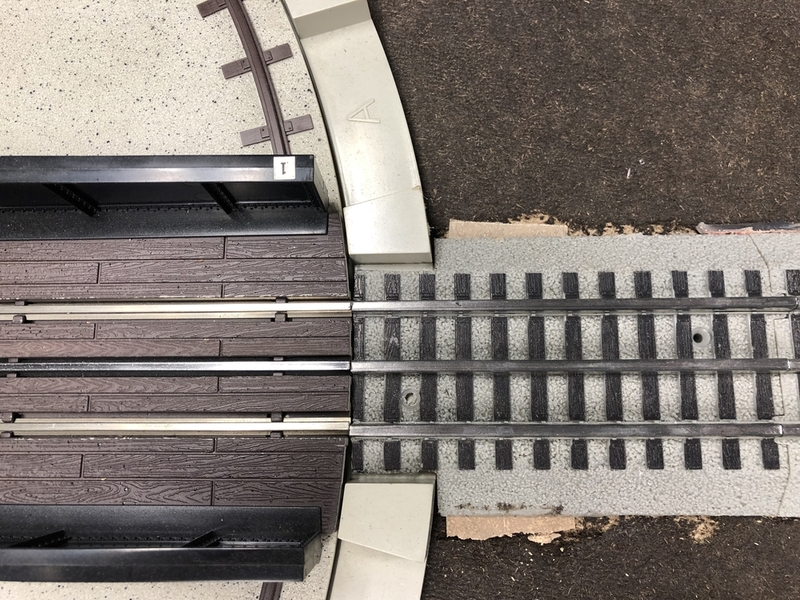 I custom cut the pieces to the length I wanted however, you could probably use the Fastrack to tubular track adapters to give give you a nice flush end to but up to the table. You will have to trim the road bed slightly to fit in between the risers on the table. I trimmed the roadbed flush with the end of the ties. I only trimmed out enough to clear the risers, approximately 3/4”. Hope this helps. Here a video I took of my new Atlas turntable. I was upgrading from the old one so I had the track cut already. I used Lionel Fastrack transition pieces so I could get a flush surface right up to the table. Good info and thanks to all of you.